The Nigerian National Petroleum Corporation has reported an operating profit of N273.74 million for the month of May and reversing the losses of N35 billion made by NNPC over the last 15 years. 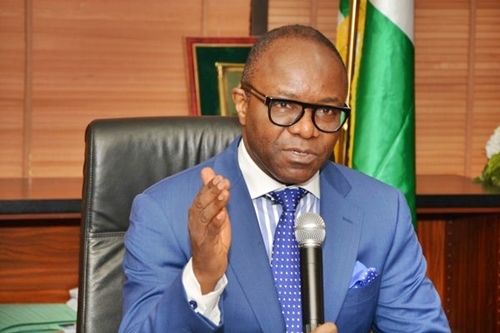 According to a report by ThisDay, after ten months under the stewardship of Dr. Ibe Kachikwu as the Group Managing Director of the Nigerian National Petroleum Corporation (NNPC), the state-run oil firm finally turned the corner, reporting an operating profit of N273.74 million for the month of May and reversing the losses of N35 billion made by NNPC over the last 15 years. In its monthly financial and operations management report the corporation made N273.74 million as operating profit in May 2016 as against its operating loss of N19.43 billion in April was attributed to improved cost efficiency at the corporate headquarters of NNPC and performance by the Petroleum Products Marketing Company (PPMC). The monthly report stated: “PPMC recorded a net gain of N17.69 billion as against the net loss of N6.91 billion in April, 2016 following complete stoppage of commercially unfavourable swaps and offshore processing agreements (OPAs). The report showed that the group’s operating revenue for the months of April and May 2016 were N95.51 billion and N142.53 billion respectively, representing 30.36% and 45.32% respectively of the monthly budget. Similarly, operating expenditure for the same periods were N121.86 billion and N142.26 billion respectively, which also represents 45.62% and 52.63% of the budget for the months respectively. Operating deficits of N19.43 billion and a margin of N0.27 billion were recorded for the months of April and May 2016 respectively as against the monthly budgeted surplus of N44.23 billion. The report said the deficit “was inverted in the month of May 2016 due to significant increase in revenue generation which could be attributed to the rise in petroleum product sales by 51.13%. “Of the April 2016 production, Joint Ventures (JVs) and Production Sharing Contracts (PSC) contributed about 33.82% and 46.77% respectively. While AF (Alternative Funding or Financing), NPDC and independent oil firms accounted for 13.81%, 1.73% and 3.87% respectively,” the report stated. “Comparing NPDC’s performance to national production, the company’s production share amounted to 4.31%. NPDC production is expected to hit production levels of 250,000bp/d after the completion of the on-going NPDC re-kitting project and repairs of vandalised facilities. 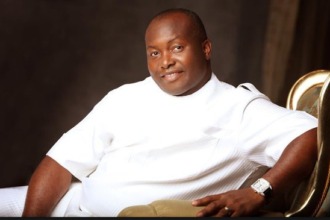 “Production from NPDC wholly operated assets amounted to 10,216,198 barrels (or 30.93% of the total production) with Okono Okpoho (OML 119) alone producing more than 82.66% of the NPDC wholly owned operated assets or 25.57% of the total NPDC total production. “Also on the NPDC operated JV assets, in which NPDC owns 55% controlling interest, crude oil production amounted to 13,296,309 (or 40.26% of the NPDC total production). On the JV assets not operated by NPDC, production level stood at 9,516,447 barrels or 28.81% of the company’s production,” the report revealed. “For the month of May 2016, the three refineries produced 242,053MT of finished petroleum products out of 301,604MT of crude processed at a combined capacity utilisation of 16.03% compared to 19.32% combined capacity utilisation achieved in the month of April 2016. “The adverse performance was due to crude pipeline vandalism in the Niger Delta region coupled with on-going refineries revamp; however the three refineries continue to operate at minimal capacity,” the report stated.